Medium - $59.99 Only 4 left! Large - $59.99 Only 6 left! X-Large - $59.99 Only 5 left! It’s time. That dreaded portion of the year where your friends and family try to get you to put away your suit, so you can wear some kind of silly costume. They beg that you wear a ghost costume. They request you to relinquish your style so you can dress up as a clown. Or worse yet, they try to get you to play the role of some kind of serial killer, by slathering one of your old suits with fake blood. The nerve of such an idea! You would never sully one of your fine suits with blood splatter. Even if you were trying to win the next costume contest by looking like a victim of a ghastly murder; it would be a travesty on a monumental level to stain it with crimson gore. Your suits deserve better than that. You deserve better than that. No worries though, because Suitmeister has your back on this little conundrum. 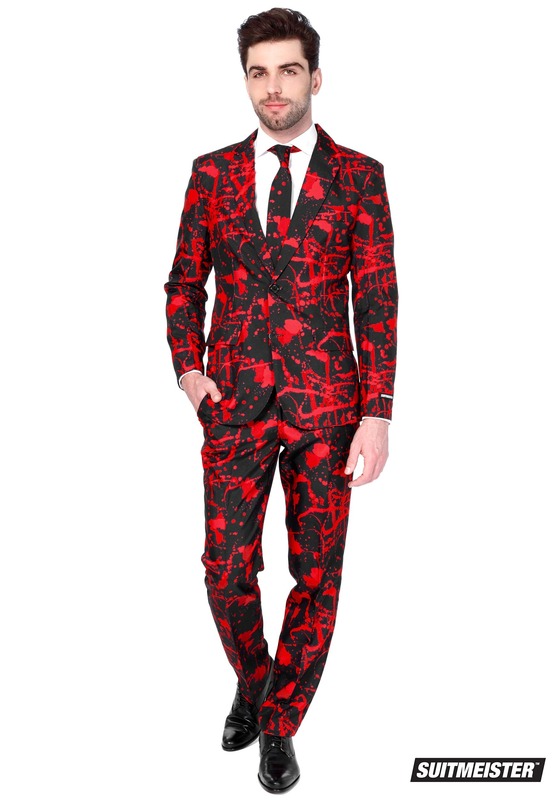 That’s right, this Halloween Blood Suitmeister Suit brings you the nobility of a suit with the gore factor of a horror movie. 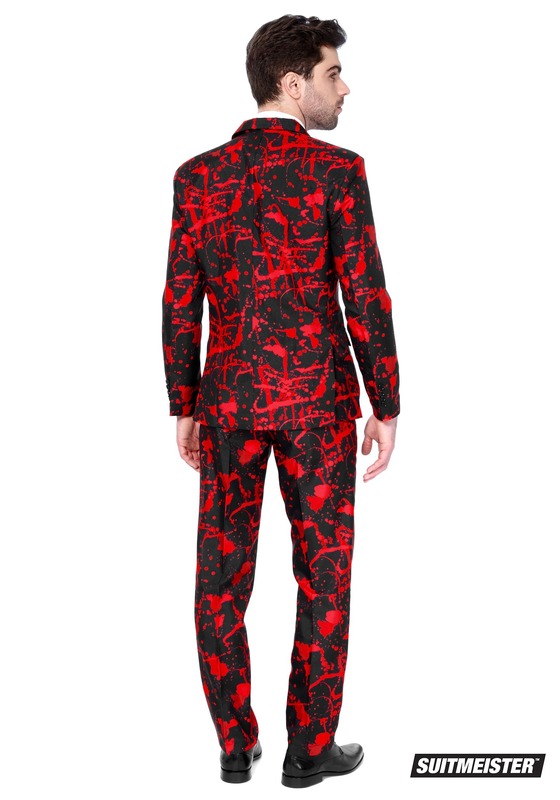 It comes with faux blood splatters designed right into the jacket and pants combination. That means you don’t have to splatter paint or other blood-colored substances on your suit to acquire the proper look. You just have to put it on and roll out in style—bloody style. Just pair it with a pair of your best wingtip shoes and suddenly you look like the ravishing young business man who was slain by some horrid miscreant! Now that’s the kind of costume that wins costume parties.